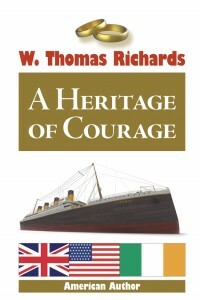 A Heritage of Courage is the fourth novel in a dynamic series that follows the adventures of three beautiful cousins. The girls, 19-year-old Jessica, 18-year-old Rhiannon, and 17-year-old Madeline, are caring for their grandparentsâ€™ estate while the couple is away. A sinister scenario emerges when they learn that their grandparentsâ€™ plane was shot down, and that their beloved relatives are lost in the Amazon jungle â€¦ with a drug cartel pursuing them! Rhiannon believes she has information that could help save them, and devises a rescue mission. Will the girls be successful or will they end up in the same mess in which their grandparents have landed? The girls have A Heritage of Courage, but will bravery be enough to overcome all the odds? 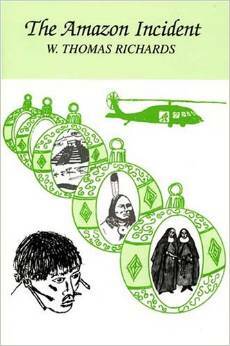 The Third Book In the Mystery Series by W. Thomas Richards, following the three cousins, Jessica, Rhiannon, and Madilene. After experiencing attempts on their lives, the three Lewine cousins are summoned by their family friend Senator Domingo. He informed them that their vacationing grandparents, Wilford and Patricia Lewine, have been kidnapped and being held hostage somewhere in the outback of Australia. The three cousins are not only shocked by the news, but are mystified when they hear that the grandparents are accompanied by someone posing as their grandson, Ashton, who has been dead for nearly 15 years. 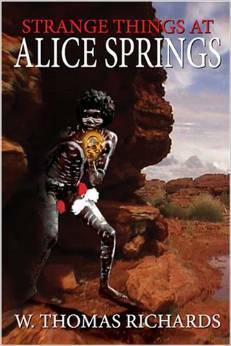 The three cousins, Jessica, Rhiannon, and Madilene, travel to the desert near Alice Springs where they learn that an old enemy, who they thought had perished in the Amazon jungle, was alive and well. His new goal is to eliminate the entire Lewine clan except for Wilford. The old man is kept alive only because he knows the location of an old hidden cavern where the Drug cartel had hidden a large fortune of Inca gold. The three cousins constantly face the danger of death as they attempt to rescue their grandparents and to unlock the identity of the mystery person posing as the dead grandson. This time their old enemy seems to have the upper hand. The First in the Mystery Series by W. Thomas Richards, starts the journey of the three cousins, Jessica, Rhiannon, and Madilene. “Although I had this little voice inside me that kept nagging, I ignored it because the fish and coral were so plentiful and beautiful. I was oblivious of the danger that I was about to create for myself. I was happier than an old pirate who had suddenly discovered a lost vat of rum.” Wouldn’t it be nice to have a magical Genie that could grant all our desires in life, make us happy no matter what conditions we live in, and help us through any situation we are faced with? 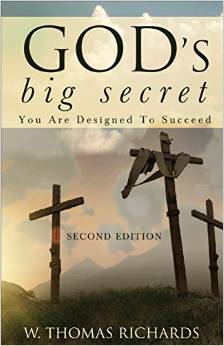 W. Thomas Richards, author of God’s Big Secret, says we all have access to such a power. Unfortunately, the majority of people on this planet refuse to believe it, and live a life of scarcity and desperation. 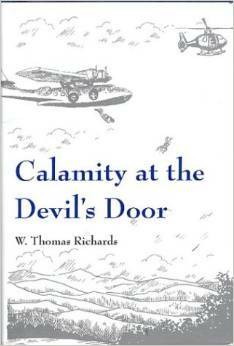 It took the author many years before he discovered why he was so lucky. Richards explains through his life experiences how and why God has been so good to him. He also explains why he knows it is how God has designed each and every one of us.